Type anti age cream into any search engine and you’re sure to be overwhelmed. There are products and reviews for anti aging creams everywhere, but perhaps it’s best to look to the obvious and search for the informed reviews. Those, being, the reviews from those trained in dermatology, the doctors who are familiar with the products and the patients who use them. What ingredients should be on the label of my anti aging cream? Most doctors would argue that the first key to a successful anti aging skin care regiment starts with the ingredients in the product. PhytoCellTec* Malus Domestica (Plant Stem Cells) uses actual stem cells from a rare apple to create and promote new skin and cell growth. Plant stem cells are becoming a popular active ingredient in anti aging creams to stimulate that growth. Argireline promotes muscle contraction, especially around the forehead and eyes, diminishing the depth of wrinkles. A study showed that women who used an Argireline cream twice daily saw wrinkle reduction of 27-60% after a 30 day period. Matrixyl 3000 has been proven to recover elasticity as well as skin tone. Sodium Hyaluronate helps to keep skin moisturized. Syn*-Coll are peptides that provide a non-invasive alternative to collagen injections by helping the body to produce its own collagen. Vialox Powder-PentaPeptide-3 is essentially a needle-free Botox alternative. According to the doctors who studied the element, when combined in a cream, the powder helped volunteers reduce their wrinkles by up to 49 percent. Belides are derived from daisies and act as a skin-whitening agent providing an even skin tone. Alpha Arbutin has been proven to diminish UV tanning damage and reduce liver spots. NET-DG is a soothing natural ingredient from the licorice root. NET-DG helps to make a product more acceptable to sensitive skin. Biowhite is a natural substance derived from mulberry and other plants. Look for this brightening ingredient rather than hydroquinone, which tends to be much more toxic. BV-OCS is actually Vitamin C, a natural ingredient known for its anti-oxidant properties. BV-OCS defends collagen and is a highly effective whitener. Vitamin K smoothes wrinkles away while eradicating dark circles. Retinol smoothes wrinkles and aids in skin regeneration. Vitamin C provides the antioxidants that protect cells and promotes rejuvenation. Vitamin E also provides antioxidants to repair sun damage. The doctors who created the Ageless Derma line promise a “revolutionary” anti aging skin care line featuring scientifically proven ingredients to restore and rejuvenate aging skin. Ageless Derma Anti Wrinkle Cream uses peptides and stem cells to smooth away fine lines, wrinkles and crows feet. This anti age cream rejuvenates skin and enhances elasticity, promising users a more youthful appearance. The Ageless Derma Anti Wrinkle Cream contains the ingredients PhytoCellTec* Malus Domestica (Plant Stem Cells), Argireline, Matrixyl 3000, Sodium Hyaluronate, Syn*Col, Conenzyme Q10 and Vialox Powder Pental Peptide-3. Ageless Derma Face Brightening Cream promises to lighten skin damage like age spots, live spots and freckles revealing rejuvenated younger looking skin. The brightening cream contains scientifically proven ingredients including Alpha-Arbutin, Belides, Biowhite, BV-OSC, NET-DG and Niacinamide. Ageless Derma Eye Cream uses Peptides, Vitamins C, E and K along with Retinol to smooth away evidence of aging around the eyes. When deciding which anti age skin care route to take, it really depends on your problem area. Is it your eyes? The brightness and tone of your skin? Wrinkles? Once you’ve identified what you want to repair, you can figure out which product will help you with your goal. As long as you look for the effective ingredients identified by doctors and stick with your anti aging skin care regiment, you have a good chance of success at rejuvenating your skin to a more youthful appearance. 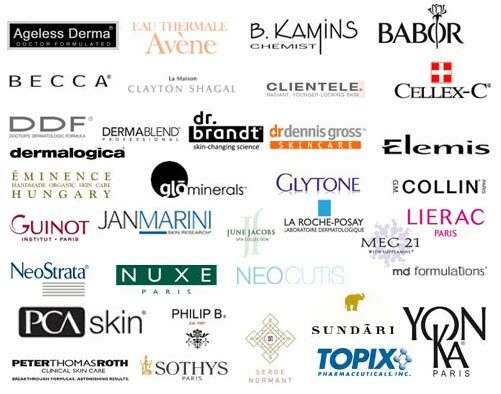 In addition to the products offered by Ageless Derma, the cosmetic pharmaceutical market offers a plentiful range of anti age skin care products, many of which contain some or all of the ingredients listed above. They include the Dermaquest line which offers a range of anti aging skin care products, scientifically proven to provide optimum results. If you have a dermatologist, you should always discuss your anti aging skin care plans with them. If you don’t have a dermatologist, take some time to research what doctors are saying about anti age and anti age crème remedies.